In the past it has been difficult to give general advice about when it is safe for families with children in Year 11 or Year 13 to book post-exam holidays because every student has a different examination timetable. This year that has changed because the Joint Council for Qualifications has introduced an additional date in every student’s examination timetable at the very end of the season. 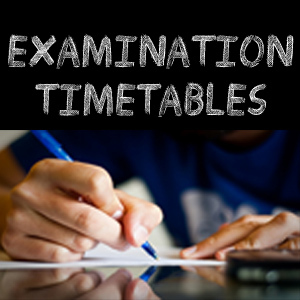 All Year 11 and Year 13 students must be available to take an examination on Wednesday 26th June 2019 and families must not book holidays that could prevent this. The 26th June is the last day in the Summer 2019 examination season and there will be no external examinations after this date. The 26th June has been designated a “contingency day” for GCSE and/or GCE examinations to be used should sustained national or local disruption arise during the June 2019 examination series GCSE GCE June 2019 Exam Time. This is expected to be a repeated annual arrangement from now onwards. All students will receive personalised exam timetables electronically via their school email addresses. A paper copy of students timetables, along with a letter, detailing exam procedures, and concessions if applicable, will be distributed by form tutors. There will be a number of further examination practices in the run up to the summer examinations.